At the Corner of 201 N. Harbor Blvd. 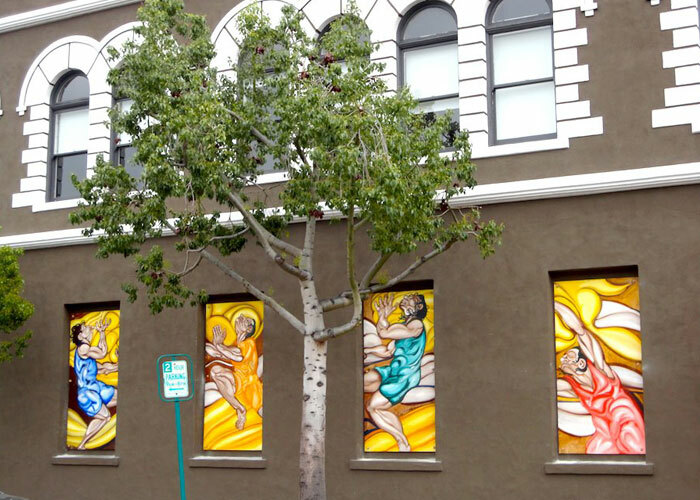 and Amerige Ave.
4′ x 8′ panels by René Cardona (oil on wood), viewable 24 hours a day. Amerige Alcoves is a changing panel installation that exhibits a rotation of new art. (there is a minimum fee to participate).